Blahound's blog: The little Nexus that can! The Asus Nexus 7 is the first foray into the tablet market for Google's Nexus line of devices designed for a pure Android experience. A lot of people were surprised by Google's decision to make its first tablet a 7 inch tablet as it is not a massively popular form factor as most tablets float around the 10 inch mark. I had never used or held a 7 inch tablet before using the nexus 7 so I wasn't sure if I would like the form factor but it turns out that I love the form factor. Its light and small enough to easily be held in one hand and feels very secure doing so due to the grippy back plate which feels very nice in the hand. The size is also perfect for travelling with it, much easier than a 10 inch tablet (I've even heard of people putting the nexus 7 in their pocket!). That said the size is still great for browsing/reading/watching and perhaps the perfect size for portable touchscreen gaming. The budget tablet is packed with high end components. A quad core Tegra 3 SoC*, 7 inch IPS panel, very large battery, NFC and the usual connectivity options like WiFi, Bluetooth and a Micro USB port. The tablet does not have any camera on the back of the device but does have a front facing camera for Skype, Google+ Hangouts and other video chatting options (To access camera as an app to take pics you can use this app which just gives the camera app on the Nexus 7 a launcher icon). 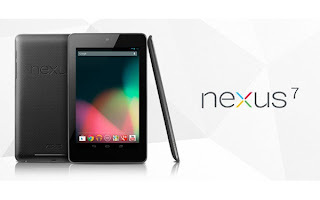 The Nexus 7 is the first device to be sold with Android 4.1 (Jelly Bean) installed and as a Google Nexus device it is nothing but pure Android. Jelly Bean is a joy to use and even more of a joy with the Tegra 3 powered device. Project Butter makes everything in the UI very fluid and smooth. Google added new animations for the UI that also help show off the smooth, polished nature of Jelly Bean. Google Now is arguably the biggest addition to Jelly Bean. It is part of the improved Google Search app. Google Now is kind of a personal assistant you could say but mainly gives information without you actually asking for it, It learns about you from what you Google search and then gives you information relating to that topic. If you search for a flight on Google it will give you Google Now "cards" about that flight departing and arriving, it builds in Google calender events, it can give you up to date information on your favorite sports team's result. It also gives simpler things like weather information in a nicely designed card for your location. It leaves a vast amount of information one press/swipe away when it knows you go abroad as it leaves certain cards always there (A translate card, currency converter, time at home). One of its killer features in my opinion is after you Google a restaurant,shop or landmark and then check Google Now it will have a navigation card there waiting for you, just press navigate and it launches navigation to that place. The Nexus 7 is a WiFi only device. There is no 3G/4G/LTE version and I would be shocked if there ever was as not including it both cuts costs and prevents any issues with software updates due to carrier "testing". There is a Micro USB port on the device which is used for data transfer and charging the device. The Nexus 7 supports USB Host mode so if you are rooted (not rooted solution is nearly ready I believe) you can use a USB OTG cable to connect USB pen drives to extend the storage of your Nexus 7 or add a mouse and keyboard. The Nexus 7 has Bluetooth for all your file transferring and peripheral connecting needs just like you would expect from any modern device. Google is a big fan of NFC (As am I from my limited tests) so the Nexus 7 has the very useful Android Beam which allows you to share things with another device that has NFC just by holding the backs of the devices together (links, YouTube videos, play store stuff). Why is the Nexus 7 so cheap? The Nexus 7 is being sold as close to cost price as possible by Google because it is not being sold as a device per say. The Nexus 7 exists to sell the Android ecosystem. It is supposed to come with £15/$25 dollar play store credit to spend on movies or books in the Google play store but Ireland does not get this credit (there is a workaround). In Ireland the Nexus 7 is effectively being sold as a device because most of the things Google want to push (movies, books etc) are not yet available in Ireland yet through Google play but maybe we can hope the strong sales of the Nexus 7 worldwide might push Google to sort out the licensing issues and give Ireland a bigger slice of the Android ecosystem. The Nexus 7 is also supposed to push the idea of Android apps having a suitable interface for tablets (not very many do). Android itself does a good job of giving options to help when an app is clearly not designed for tablets (zoom to fit) but Google's plan is the strong sales of the Nexus 7 will entice app developers to optimize for bigger screens and also the low cost of a powerful testing device may entice even more developers. The Nexus 7 does have its downsides although hopefully they will all be cleared up soon. There are some manufacturing defects that have plagued the Nexus 7 worldwide since release but hopefully the second or third batch of the devices will clear all these problems up. Screen lifting on left side. Oversensitive screen to oily/wet fingers. Screen flicker on white screens with low brightness settings. 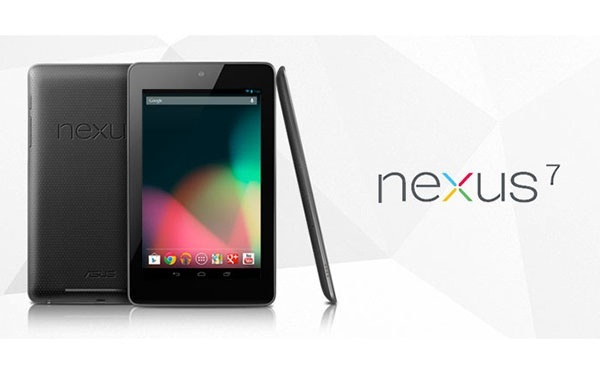 Is the Nexus 7 worth getting? Yes. It is a great tablet with amazing specs for the price. Is the Nexus 7 still worth getting in Ireland? It is still a great tablet even without the full Android ecosystem available to it, from a media playing point of view the Nexus 7 is designed to be a cloud based player which even without Google play movies, Ireland does have options like Netflix. I have not actually experienced this issue on my own Nexus 7 but this will be useful to anyone that is experiencing the issue!